Here’s some new Los Campesinos! for you. It was new to me anyway. Unless they played it when I saw them at The Spitz back in March, but in any case I can’t quite recall it. The track is Knee Deep at ATP and is apparently an account of a particular love interest had by a member of Los Campesinos! at that festival. So, great festival, good song. You wouldn’t get anyone writing a song about the V festival, would you? This was played when they were studio guests of Marc Riley on his Brain Surgery show on BBC 6 Music a week or so ago. They also did a live version of You Throw Parties, We Throw Knives. In other Los Camps news, it sounds like they’ve been recording their new album in Wales. At least that’s what I can discern from their sporadically updated blog. They’ve also had an EP - Sticking Fingers Into Sockets - released by their North American label Arts & Crafts. This contains the songs from the two limited 7 inches that have been put out over here by Wichita plus a couple of other tracks. This (plus any further singles?) should keep us going till the debut album is released early next year. Buy the You! Me! Dancing! 7 inch (the We Throw Parties... one has sold out) or the Sticking Fingers Into Sockets EP. I worry about myself sometimes. Despite my oft-expressed dislike for ‘Big Indie’ (y’know stadium indie rock, beloved of major record labels and peddled by the likes of Coldplay and Snow Patrol), I wonder if my antipathy is fuelled by it being intrinsically bad or just because familiarity breeds contempt. I’m not a big daytime radio listener or TV watcher, so I’ve always reckoned it was the former, but now and then Big Indie songs come along which I actually quite like. This question really arose for me after listening to the latest album from Canadian band and Broken Social Scene associates Stars. Admittedly I’d never heard of them before till I spotted their name top of the ‘most blogged’ list on The Hype Machine a month or so ago. That made me curious. The last band who I first heard of in this way was CSS about a year ago, and look where they are now. Then came the story everyone knows now about how they’ve released their album digitally a couple of months before it comes out on physical formats, which is being touted as some sort of new dawn by some music media people (but it’s hardly new – lots of people have done this, not least Leeds electro-indie oddball Napoleon IIIrd). So it was odd then that I’ve been listening to it on a real tangible CD then, after getting a promo copy a couple of weeks ago. But anyway, the music. A lot of seems uncomfortably close to Big Indie for my linking. But what has given me the slight worry is that I actually quite like it. Is it because I’m now over 30 and have a small baby? Is there some sort of irrevocable journey towards the middle of the musical road? I try to calm my fears by reminding myself that I was listening to the new Health album at the same time and liking that too. 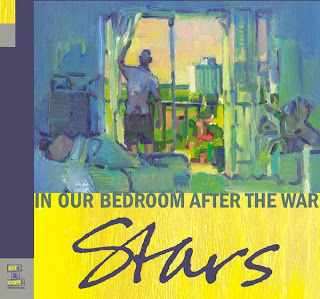 The title track of the album – In Our Bedroom After the War – is a prefect case in point. Starts off slowly, piano ballad style, with a simple but poignant melody, before gradually building up steam till the big chords and strings crash in and I can almost imagine the chorus at the end “After the Wa-aa-aar” being chanted by a crowd, lighters aloft in front of the Glastonbury main stage at dusk. If Stars were on a major label with a huge PR budget, rather than Canadian indie Arts and Crafts, that could be a distinct possibility. This is music with huge crossover potential. But again, I quite like it. I’m not sure what it is that sets it apart from the other Big Indie out there that I dislike so. Maybe it’s that they use electronics more than their stadium-packing peers. Maybe it’s the male-female vocal interplay between Torquil Campbell and Amy Millan (I’m always a sucker for that kind of thing). Maybe the songs are just better. I’m not sure. Maybe nothing really sets it apart. Maybe it is Big Indie and I’ll just have to live with the fact. Maybe there’s nothing embarrassing or wrong about that. Maybe I’ll grow tired of this album in time. Maybe not. I’ll just have to wait and see. You can download In Our Bedroom After the War from the Arts and Crafts website for a mere £5.54 (after all, £7.99 for a DRM-riddled, 128kbps file from iTunes is not a good deal, is it?). Or wait till the CD comes out in September. So, LCD Soundsystem’s decision to put out their latest single All My Friends with covers of that song by Franz Ferdinand and John Cale on the b-side was a pretty popular one eh? Lots of praise, particularly for the ex-Velvets man’s version. OK, this is the last Rough Trade East post, I promise. I don't want you getting bored by me going on about it, but I am quite excited about the whole thing, even though it'll take me some time to feel comfortable with the new setup. Anyway, I went down again last evening and though things had moved on a bit since Monday, it was still not quite finished. Still, give 'em a bit more time and things should be smoother. The sight of all these new Technics turntables laid out on various counters for vinyl listening purposes is a joy to behold though. This post also gives me a final excuse to post another record I just found in my 7 inch collection which was put out by For Us Records, the label that used to be run by Rough Trade Shops. It's by Polyester, which I think was just one Swedish guy with an evidently big love for the Beatles and West Coast surfing music. The whole four songs are unashamedly retro, but are marvellous little things. Here are two choice nuggets. I couldn’t leave the new Rough Trade East shop the other day without making a purchase. This one was a bit impulsive, but luckily it turned out to be a good decision. 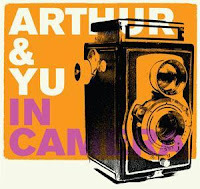 I had never heard of Arthur & Yu before the Rough Trade weekly email hit my inbox on Saturday, but their album of the week is this debut release from the Seattle-based duo, called In Camera. It sounded intriguing, and turned out to be a treat. First of all, they’re not really called Arthur and Yu. These are apparently the childhood nicknames of Grant Olsen and Sonya Westcott, who came together last year after serving time in other bands (Sonya used to be in Rogue Wave). The music they make comes across like a sort of lo-fi Lee Hazelwood and Nancy Sinatra, with a dose of Velvet Underground thrown in. 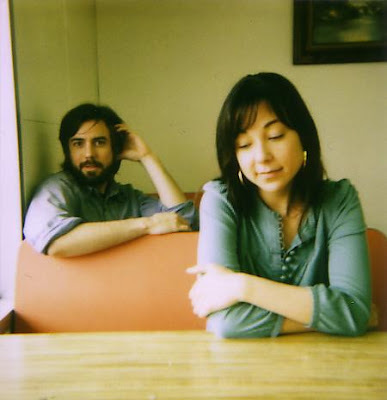 Their set up is quite minimal, and apart from a little chirpy percussion, glockenspiels and melodica, the main focus is on the simple guitar chords, the lovely vocals and harmonies of Grant and Sonya, and a heavy helping of reverb. But just because this is a home recording, doesn’t mean that a lot of care and attention hasn’t gone into it. It clearly has. This is a record that may lack technical sophistication, but has plenty heart and soul and is all the better for it. I’m a sucker for boy-girl harmonies anyway, but this for me stands above most other new stuff that’s come out recently. The perfect soundtrack to a rainy summer. 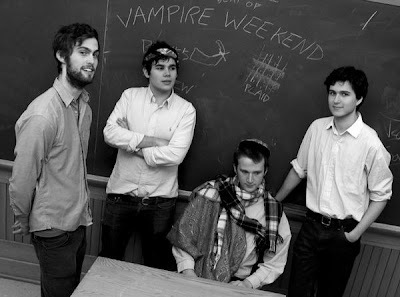 It seems appropriate to follow the last post with one about Vampire Weekend, especially after Matthew spotted the nice yellow 7 inch in the Rough Trade racks and recommended that everyone buy it - “three songs of pop genius” he says, and he’s right. Last week, the debut EP by the NYC quartet came out in the UK, and what a tasty treat it is too! Here we have an indie band whose influences extend beyond the usual suspects. Is that a hint of African music I hear in the high-pitched guitar sound and the rhythm in Cape Cod Kwassa Kwassa? And don’t you go sticking your noses up at the prospect of white boys trying black music either. We know it can be done well. At least they’re doing something interesting. They’re obviously into post-punk too. But they’re not necessarily spiky guitar and Gang-of-Four fetishists. By the time we get to the second track A-Punk, that same high-pitched guitar sound is more reminiscent of Orange Juice and the Postcard Records bands of the early 80s. And in a funny way, Oxford Comma reminds me of Prefab Sprout. 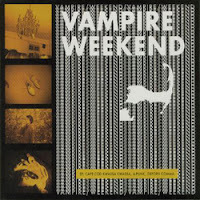 Buy the Vampire Weekend EP CD. Or maybe better, the 7 inch. London might have been spared the crazy weather that has brought chaos to other bits of the country at the moment, but it was still a pretty miserable grey wet day that saw the opening of the highly anticipated new Rough Trade East shop in the Truman Brewery, just off Brick Lane. I braved the rain to see what lay in store. My first impression was that it was just huge. After years of going down to the pokey basement at Neal’s Yard, this place is cavernous by comparison. It’s got a bit of a warehousey feel – all painted white walls and high ceiling. But the essential ingredients are all there – the records and CDs of course. Or at least they will be once they’re all out of the boxes that have presumably been moved across from the old Covent Garden shop. That’s because though it’s open, it’s not quite there yet. There are handwritten notices saying that the ‘snug area’ (I think that’s a sort of lounge-on-sofas wi-fi section) will be open on Thursday. There were men up ladders outside polishing the sign, and there was just a general air of incompleteness. But I’m not complaining. I’m very excited by what I saw. The priorities are right. The first thing that confronts you after you pass through the café in the entrance is the racks of 7 inch vinyl. There’s a whole row of decks on the long counter where you can listen to your potential purchases. There’s plenty of room to browse, or even just sit around. And the stage at the back promises a good few decent instores. Although I’ll always have fond nostalgia for the cramped and sweaty shows in the Neal’s Yard basement, the set-up in the new shop looks like it will be the real deal. Add to that the late opening times (10pm during the week!) and it’s a recipe for greatness! I’m not the only one hoping this. There’s a lot riding on this new shop. It seems that some of the hopes of the beleaguered music retailing industry are pinned on this venture. It’s certainly been in the mainstream media spotlight lately, with several articles in the broadsheets and even a spot on the Today Programme last week. Just as people are seemingly deserting the high street music shops, Rough Trade is trying to bring them back in, and maybe even reach ‘new markets’. Not sure what that will look like. Hopefully not the strange sight that I saw yesterday of Corrine Bailey Rae CDs on the counter. They sure looked odd sitting next to the No Age album. Maybe some of the new customers will include the likes of the middle aged couple with distinctly tourist clothing and bearing British Museum bags who I saw sitting in the café area. But most likely it will be the sort of indie kids, hipsters and others who hang around the Brick Lane area. Expect it to be pretty packed on Sundays. For related mp3s, I thought I’d go with stuff from Rough Trade Shops compilations. For anyone who doesn’t know, each year they compile a double CD of tunes that have been a hit in the shops or popular with the staff in the previous year. They also put out genre-specific double CD comps, covering Rock & Roll, Country, Singer Songwriters and Post Punk. Shockingly I only have two of these in my collection – the Electronic one and the Indiepop one. Here are some choice cuts from these. Buy some of these comps here. Sorry for the dodgy cameraphone pics. I’ll be back later in the week to get more (and hopefully better) pictures, check out progress and hopefully find that elusive Magic Arm 10 inch. In theory, I should hate this band. Which is why I’m glad that I’m judging Lavender Diamond on the quality of their music, not the theory. I heard songs from the Cavalry of Light EP before I knew anything about the band, and was immediately entranced by this beautiful ethereal psychedelic folk music, raised to even greater heights by gorgeous vocals and the band’s ability to slowly but surely work towards euphoric crescendos. Since hearing the debut EP, I’ve become more aware of this LA quartet, fronted by Becky Stark, who comes across like an objective definition of what a true hippy should be. Dressed in flouncy clothes, pictured with arms extended to the heavens, rapturous glee on her face, making all sorts of pronouncements about peace and love, and coming across as having a real (faux?) naiveté in interviews. Here’s someone who certainly hasn’t been to the school of hard knocks. She gives the impression that she would have loved to have been in LA at the height of the Laurel Canyon heyday. But as it happens, she moved there (from Rhode Island) a whole thirty years too late. All of which could make their debut album Imagine Our Love seem like so much hippy dippy sap. Even the cover art smacks of that. But in reality, it’s quite magical. It picks up where Cavalry of Light left off, and continues the journey of luscious honey-dripping folk-pop, with Becky’s pure, clear vocals hitting the high notes so perfectly. Somehow they manage to make a lot of a little. I mean, the lyrics aren’t exactly verbose. Simple phrases or lines are repeated over and over, but there are no diminishing returns here. Instead it contributes to some sort of pleasingly familiar refrain which seduces you into thinking that it might be more profound than it seems. All in then, these are hippies that you certainly can trust. Buy Imagine Our Love (special low price from Rough Trade). I’m keeping it Fence-related for the third post in a row now. 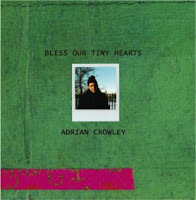 This time Adrian Crowley. Are you thinking that Adrian’s not really a rock ‘n’ roll name? Well, he’s not really aiming to rock your boots. His approach is much quieter, much more subtle, so let’s not do the name-dissing thing. Although he’s on Fence Records, Adrian isn’t actually from Fife. He hails from Galway, Ireland instead. He’s no newcomer either, not with three albums and a couple of singles already under his belt before falling into the Fence camp. It seems these albums were a bit hard to get hold of though, because Fence has just re-issued two of them A Northern Country (originally from 2004) and When You Are Here You Are A Family (originally from 2001, recorded with Steve Albini no less). My introduction to Crowley was through a track on the recent Fence comp Don’t Fudge With The Fence Made (which I previously posted on). Then a few weeks ago I bought his new single, the first in a limited edition series of 7 inches called Secret Fence. The songs are very simple and often very beautiful. Although there are a few contributors to the record (including James Yorkston), it’s Adrian’s sonorous voice and gently picked acoustic guitar which stand out against the backdrop of haunting violin and gentle harp strains. Lyrically all these songs are related to the sea, which may or may not interest you. For me it sparks off a certain imaginations and memories which end up taking me to a place I like. Understated and lovely. He’s recorded a new album which will be coming out on Fence soon enough, no doubt. Buy the Star of the Harbour 7 inch, and AC’s previous albums from the Fence shop. I’m trying to imagine the conversation. A note to regular readers of this blog: You may be surprised at me featuring KT Tunstall, but unlike most of these mass-marketed singer songwriters, I actually do have a bit of time for her. Two reasons. First, she used to be part of the Fence Collective, that fine group of folkies from Fife, before she was plucked out and groomed for stardom. Mind you, greater fame hasn’t left our KT with too big a head, and she hasn’t forgotten her old pals. She contributed backing vocals to King Creosote’s last album, and was found playing with them as recently as a couple of months ago. Second, she’s actually quite good live. I never really warmed to her debut Eye to the Telescope album. Just too much sheen. 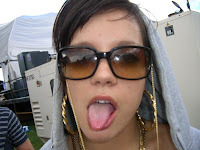 Then I saw her at a festival a couple of years ago and she showed some of the energy and quality that seemed to have been glossed over by the producers of the album. I was actually quite impressed. Good voice, decent songs and you know that loop thing that she’s now well know for doing? That was probably a skill developed by time served playing the less glamorous parts of this country. And now she’s got a new single out. It’s called Hold On and it’s really quite good. Pure pop – not even reaching the three minute mark. I make no apologies about liking this. We’ll have none of yer indie-snobbery here. Just try to forget that her new album’s called Drastic Fantastic (out in September), and has that cover. I hope all that doesn’t bode too badly for the rest of the songs on it. James Yorkston has a new album out, called Roaring the Gospel. It’s not really a new album as such, more a compilation of b-sides and other rarities released throughout his recording career. The collection goes back to before he recorded under his own name – his first release was as J Wright Presents, a 7 inch on Bad Jazz Records in 2001. 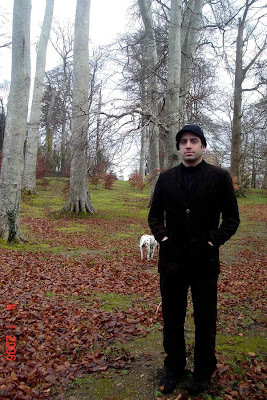 It takes in his first release for Domino, the magisterial 10 minute epic The Lang Toun, through to a song left off his latest album Year of the Leopard. Although there’s plenty familiar stuff on here, there are still some songs I hadn’t heard. I particularly like Sleep is the Jewel (left off second album Just Beyond the River for being ‘too poppy’) and The Hills and the Heath. It’s also good to be able to play Blue Bleezin’ Blind Drunk, an old folk song that anyone who’s seen James play live in recent years will know and love (originally on a limited 10 inch EP). Rather than post tracks from this terrific compilation, I’m going to post some alternative JY rarities. 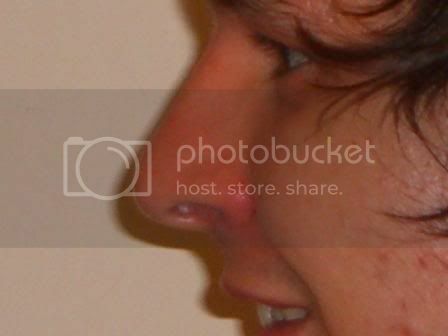 I’ve had a dig around the James Yorkston archives section of my computer, and I now present you with these. Thar She Blows is a cover of a song by fellow Fence Collective member Jenny Casino (aka HMS Ginafore), which appeared on a bonus CD of solo acoustic versions of Year of The Leopard, given away free with the album in superior independent music shops. James has been know to play this one live. The next track is a combination of two traditional folk songs which appeared on a bonus CD attached to early copies of Just Beyond the River. The third track is a similar combination which was on the b-side of the Tender to the Blues single. Pepparmyntste is actually freely available on James’ website (it was originally on a now-deleted Fence Records CDR). Roaring the Gospel contains Blue Madonnas, the b-side to the first widely-available Domino single St Patrick, but what’s not included is the other b-side, the lovely Catching Eyes. Finally, a track I’ve posted before, but since then I’ve changed my file host, so here it is again. This remix is not really available anywhere (unless like me you forked out good money for the 10 inch from eBay) so it’s worth re-posting. Fans of Four Tet should watch out though – the original is still better. The other good thing about this comp is that it’s got one of my very own photos in the CD booklet – yep, that one at the top of the post. Nice. Just in case anyone’s wondering who The Athletes are, don’t worry. It’s nothing to do with the South London band who don’t have the definite article. Rather, they’re a group of friends and musicians who sometimes accompany James on tour and in the studio. 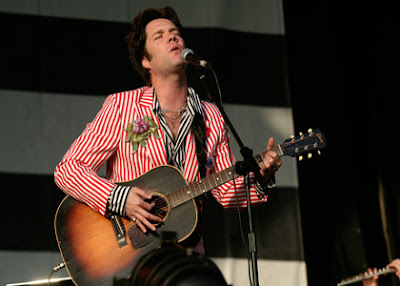 The first two albums for Domino were recorded as James Yorkston & The Athletes, though for the last release he’s reverted to using just his own name. Just before the much heralded opening of Rough Trade’s new Brick Lane store later this week (that’s it in the pic above), here’s a related post. As I suggested last week, I finally got round to ripping some of my haul from the Rough Trade Covent Garden shop closing down sale last week. Plenty of bargains to be had – 7 inches at 50p, LPs from £1! This gave me the opportunity to get some records I had previously eyed at a higher price. But more often, just to get some bargains and take a few chances. So I stocked up. Here are some of the sevens. I make no apologies for the occasional vinyl crackle. First up, Jane Weaver. I saw her several times over the course of a few months about four years ago, in various support slots. I liked her simple acoustic folky pop songs – on one occasion augmented by a whole backing band. But record releases were harder to come by, and I eventually forgot about her. It’s a shame really because she’s pretty good. After buying this 7 inch, I did a quick search and was pleased to find that she’s still around and producing music from her Manchester base. In fact, an album came out earlier this year. I even remembered this particular song – somewhere in the recesses of my memory there is a compartment for tunes which are good enough not to be forgotten. Download: Jane Weaver and the Meadow – Is Everyone Happy? I’ve never paid anywhere near full price for a Pilote release. I picked two of his previous albums Doitmowman and King Food on different occasions for a quid in bargain bins. I always liked the woozy ambient electronica made by the man who also answers to the name Stuart Cullen. This particular record was played quite a lot by Rob Da Bank on his Radio 1 show last year, but the Lemon Jelly-esque quirky English pastoral burbling and samples of the lead track By The River is ever-so-slightly irritating. I much prefer the b-side Coltrane. Here it is. I’ve no idea who the Delicious Allstars are. 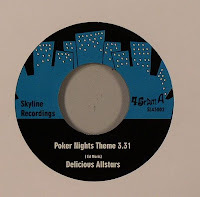 Google searches just show up online record stores selling the same seven inch (this one has it for a fiver!). And I’m sure this is not the same Delicious Allstars that I’ve got. After all, this record is pure loungey 80’s synth-funk. Which is fun, if nothing else. A couple of weeks ago, Time Out gave a whole four pages to the ‘West London Scene’ that they were trying to create (the online version is here). Seemed to be a bunch of posh kids getting together to watch other posh kids playing guitars. All of which could make the whole thing eminently annoying, if it wasn’t for the fact that there are some decent artists and bands coming out of the ‘scene’. There are likely a whole load of more average ones though. Bobby Cook is linked to all of this, and clubs like Blue Flowers and Way Out West. He’s alright, and can obviously put a half-decent indie-pop tune together. Influenced by Morrissey and the Smiths? Possibly. Great? Not sure. See what you think. Oddly enough I was introduced to Union of Knives by Ian Rankin. Not that I’m on first name terms with the Inspector Rebus novelist though – it was while he was a guest on the old 6 Music breakfast show (with Phill Jupitus) last year, that I heard him enthusing about the Glasgow band (he’s a big music fan, you know). I liked what I heard – sort of dense synth-rock with clattering beats and a certain air of menace. I made a mental note to check out more of their stuff, but never got round to it till I picked up the double 7 inch single Operated On EP in the sale. It’s more of what I was expecting, which is fine enough, but the track I’m posting is a remix, which strips away the noise which presumably exists on the original, and gives it room to breathe. Nice. Diefenbach were a band I first heard being championed by Sean Rowley on his Radio London show a few years ago. These Danes seemed to specialise in shoegazy layered guitars, punctuated by decent beats and harmonies. A very pleasing combination I thought at the time, but never did anything about it. So I was pleased to see this single in the bargain racks. Seems like these guys are still around too, releasing an album last year on Wall of Sound records. I’m saving the best till last. No, it’s not a Lily Allen tune, but all fans of West London’s first lady will know and love that infectious Professor Longhair piano break in Knock ‘Em Out. Here it is being used again (two years earlier) to even greater effect, as the mysterious people behind the Punchline series of dancehall mash-ups put together a killer tune, laying vocals by Cutty Ranks, Lady Saw and whoever the other ‘friends’ are, on top of the Professor’s tinkling. This one had me dancing round my house like an idiot last night. Yes! There were more records than this. That’ll do for now, but who knows, I may get round to posting them sometime. So The White Stripes are back, and if the reviews of Icky Thump were to be believed, back on form. But hold on a minute – since when did it become received wisdom that Get Behind Me Satan was not much cop? I say rubbish, because I still love that album – in fact it’s endured much better for me than Elephant. I’m sure I’m not the only one to hit skip when I hear that intro to Seven Nation Army. Over-familiarity can breed contempt. Or at least boredom. 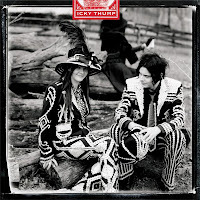 Anyway, whether or not Icky Thump is better than Get Behind… is not the issue. It is different for sure. There’s much more of Jack’s guitar wielding than the last outing. Their previous experimenting with marimbas and the like is replaced by full-on blues guitar squalls, which make no concessions to being radio-friendly tunes. And it’s all the better for it. Right from the start with the title track, the album just sets out to rock harder than ever. And it totally succeeds. I love the way that Jack and Meg don’t seem to give a damn about musical fashion and just get on with doing their own thing. No day-glo for them. Oh no, it’s pearly king and queen outfits for the front cover. Says a lot really. 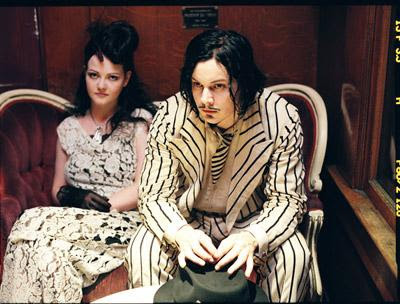 In fact, maybe with the exception of Arcade Fire (who aren’t quite so big), The White Stripes are the only major unit-shifting, arena and festival headlining band out there at the moment doing anything genuinely singular and interesting. It’s good to have them up there in charts populated by so much dreck. Here’s a bit of a correction as well – to my ‘best albums of the year so far’ from last week. When I wrote that, I hadn’t really lived with this album enough to fairly recommend it. But several plays later, I’m convinced this really should be up there. Not sure which record it would replace, but it totally slays so many young pretenders out there. Even the indulgences of this album (bagpipes on Prickly Thorn and St Andrew, supposedly harking to Jack’s Scottish heritage) are tolerable, even engaging. The cover of Patti Page’s Conquest (for more on the original, see Song, By Toad) is brilliantly mad enough to be up there in the pantheon of songs that The Stripes have made their own (see also I Just Don’t Know What to do With Myself, Jolene etc), and though the whole album is great, the run of songs from the full-on axe assault of Rag and Bone to the rollocking country blues of Effect and Cause, is absolutely stunning and probably surpasses any collection of five songs on any album this. Phew. Glad I’ve caught up properly with this one then. Buy Icky Thump. Yes! Do it (if you haven’t already)! I was never much of a Test Icicles fan (though the Braxe/ Falke remix of What’s Your Damage was amazing) so I wasn’t too disappointed when they called it day last year before everyone was expecting. I actually quite admired their decision to stop because they weren’t really into it anymore. I wish so many other bands would do that and save everyone from hearing them flogging the same old horse to death repeatedly. 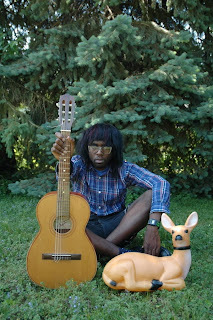 Anyway, I don’t know if former Test Icicle Dev Hynes had always harboured a desire to go alt-country, but in any case, now that’s he’s gone solo as Lightspeed Champion he has. And to be honest, this new direction is more to my taste. From what I’ve heard his new stuff is pretty good, perhaps influenced by the likes of Bright Eyes. 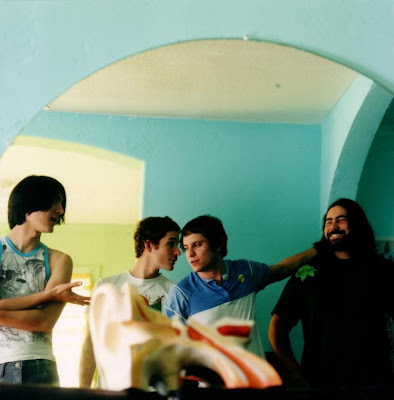 It seems Conor Oberst has been a bit of a mentor to Dev, what with bringing him over to Omaha to record his album with Mike Mogis, and having him as support on Bright Eyes’ recent UK tour. Have a listen to the new Lightspeed single Galaxy of the Lost on his myspace. Then listen again. Don’t you think that the lovely harmonies totally make the song? It’s decent enough in its basic form, but these sweet backing vocals take it to another level. No surprise then that they’re provided by none other than Emmy the Great. Last Friday Dev and his band were live in session on Marc Riley’s Brain Surgery show on BBC 6 Music. They played three songs, which are all posted below. The version of Galaxy doesn’t feature Emmy the Great, but it does have Flo from Florence and the Machine doing a very fine job of the harmonising. Fact fans may also be interested to know that the violin was provided by Mike, formerly of Hope of the States, now of Troubles. Mr Fisk was a bit of an exclusive for Marc Riley. It’s a song about a relationship written by Dev using comic book characters to represent the real people. That might seem like a rubbish concept, but it’s a great tune. What’s more, it may never make it onto a physical release, so snap it up quick! Galaxy of the Lost was originally meant to be out this week (on Domino), but according to myspace, it looks like it’s been put back to 30 July. So order/buy from the usual outlets. In the meantime, enjoy the live version. It’s much the same. Incredibly, the new album isn’t out till January 2008. Seems a long time, eh? ‘Specially since it’s all recorded and (seemingly) ready. I’m guessing that No Surprise is going to be on it. Read more about the album on the Domino website. This was originally meant to be a quick post before the weekend. Now it's a quick post to start the week. A killer remix by MSTRKRFT doing their usual excellent reworking - this time of Chromeo's forthcoming single Tenderoni. 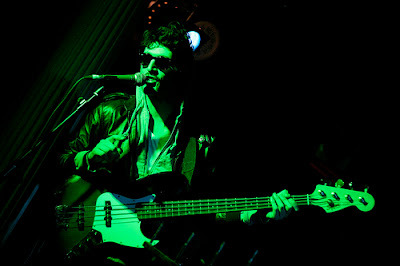 All I know about Chromeo, I learned from music like dirt's post on their Water Rats show earlier in the year. 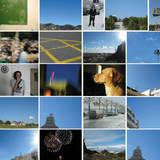 His Flickr is where the above photo is nicked from. So, moving on from lo-fi noise to pretty much the opposite end of the musical spectrum. I’ve mentioned before that I’ve grown to like the latest Rufus Wainwright album Release the Stars, due to much playing of it by Mrs Growl round our way. His opulent orchestrations sure make a change from stripped down folk and DIY punk. But it’s not always over-the-top arrangements. Oh no. Rufus proved this the other night when he popped into Xfm to play a couple of songs on John Kennedy’s show. These were good. Just goes to show that when the frills are stripped away, there are genuinely fine songs underneath, with his voice nicely brought to the fore – Sansouci in particular was a treat. As a natural follow-on from yesterday’s post on No Age, here we have Health, fellow LA scenesters and hangers-out at The Smell. I don’t know so much about their music because they’ve not got an album out yet – that comes out on Lovepump United on 18 September. Until then, we’ve got the split 7 inch with so-hot-they’re-liquid Toronto duo Crystal Castles, which is getting people excited all over the blogs at the moment. Thing is though, there are actually two of these sevens. The above-mentioned one, which seems to be the US release, features Health’s Crimewave (pleasingly rhythmic piece of lo-fi noise) b/w Crystal Castles’ Mother's Knows Best (decent glitchy shouty electro-pop). The other is one due to hit shops over here next month on the London label Trouble which features a remix of Crimewave by Crystal Castles that completely transforms the track into a blissed-out electro groove. Rough Trade has got it up for pre-order already, probably because it’ll sell out in a flash. It’ll apparently be available on nice red vinyl when Crystal Castles play their instore at the new Rough Trade East sometime next month. Maybe the association with the over-exposed Canadians will mean that more people will take notice of Health too. They’ve over here themselves in August, and UTR are putting them on at Barden’s. Should be good. Pre-order the 7 inch from Rough Trade. Bitter Pills and the Crimewave reworking taken from the BiBaBDi blog, which also has a nice feature on Health. No Age is another band who crept up on me unawares. I think the first time I heard about them was on the Upset! The Rhythm website, who put on a few gigs by the LA band in London recently. Then a heap of their records seemed to land in Rough Trade all at once a few weeks ago. So I endeavoured to check them out. 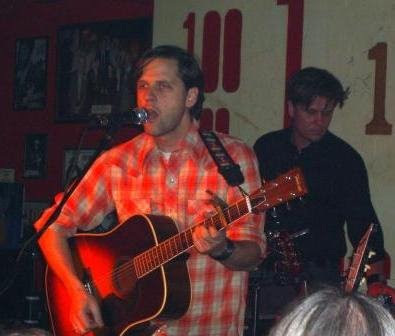 No Age consist of two guys – the excellently named Dean Spunt and Randy Randall – who formed the band last year after finishing their previous outfit Wives. 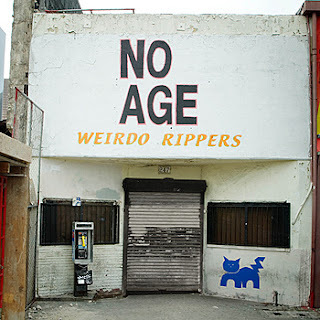 They’re involved in DIY underground art and music venue The Smell, in downtown LA, which also features on the cover of their new album Wierdo Rippers (below). It’s the sort of venue that seems like it might make Barden’s Boudoir look like The Ritz. But in my book, that’s a good thing. I’d go there if I ever went to LA. That’s because I like what No Age have got going on. Wierdo Rippers – which is a compilation of various limited vinyl releases that came out earlier this year – is not quite what I was expecting. I guess I thought it might be full of frenetic lo-fi punk rock, but although there is some of that, there seems to be more to No Age that thrashing one chord and flailing hair. Sure, lo-fi is what it is. There’s plenty scuzzy guitar licks and distortion, but they also do fuzzy atmospherics and it always seems like there’s a pop song waiting to break through, somewhere behind the noise. And it usually does. It’s a decent album, and a perfect introduction to Dean and Randy’s thing. Given the low-grade production (which is fine with me, actually), I get the impression that the best No Age experience is live. I’ve heard good things, not least from Fiona at The Wirewool who reported on them tearing up Dublin recently. All of which just makes me wish that I could have seen them on their recent shows in London. Oh well, there’ll be another time I’m sure. 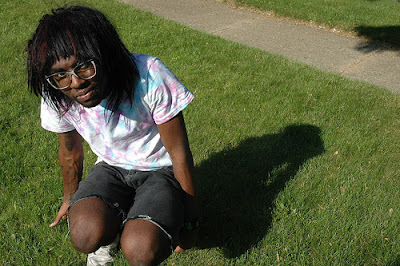 Buy Wierdo Rippers. Or if you’ve got more money or love for the band, a selection of the vinyl EPs. 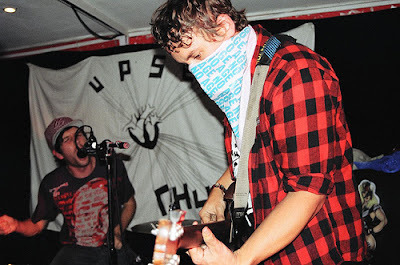 No Age @ Barden's photo from clxmxncx's Flickr. After all the articles about the ‘death of the single’ (that seems so long ago now) and more recently about the ‘death of the album’, it looks like we’re seeing the start of features on the death of the record shop. This one in The Guardian, was precipitated by the sad demise of the Fopp chain, and to a lesser extent the recent announcement by HMV of a 73% drop in profits. It really is a shame for Fopp – where will I go to get my classic albums for a fiver now? – but it’s obviously too late to go writing off the good old record shop. Fopp’s untimely end isn’t so much to do with lack of punters in the shops (the London branches were always pretty busy), but unwise business decisions in expanding too quickly too soon. That, and maybe straying a bit too far from its original market position as a decent alternative to HMV and Virgin and the like, where you could get less mainstream music for cheaper prices. The past few years they’ve been as much concerned with DVDs and books as they were with music. But anyway, as the Guardian article suggests, the independents still seem to be in rude health. Or nicely ticking over at least. Which brings me to Rough Trade. I was pretty unhappy to hear a couple of months ago about the closure of their Covent Garden shop. This was one of London’s greatest hidden music treasures, tucked away down a spiral staircase at the back of a skateboard shop in Neal’s Yard. Now I’ve always thought that this part of Covent Garden was a little hippy enclave, untouched by the rampant commercialism that has torn through the rest of the area, threatening to turn what was a genuinely interesting part of central London in to something that might easily be Reading. But not so. It may be that the same-old-shops syndrome is coming even there. The reason Rough Trade is moving out of their basement den after 20 years is that rents have got silly. It’s obviously no longer feasible to run a specialist indie store when your landlords have pound signs for eyes and imagine a branch of Next or something like that there instead. So big shame. No longer will I be able to take that familiar detour on the way home from work to listen to records and buy interesting new music. But all is not lost! Even before the news of the closure of Covent Garden, Rough Trade had announced the opening of a new, far bigger store in the Truman Brewery off Brick Lane. It was considered a brave move then, and in the current climate, even more so. Elsewhere on the Guardian website, this blog wondered if the likes of Rough Trade are the brave new hope for physical record shopping. However, as I pointed out in my comment on the same article, you can never really compare the likes of Rough Trade with Fopp and other chains. The specialist stores have dedicated customer bases that will always make a special effort to get there, and will buy stuff that the people who work in the mainstream shops have never heard of, far less stock. They may not be big on bargains, but that’s not why we go there. We go for interesting, new and exciting music, sold to us by passionate staff. And that’s why I think (and hope) that the new Rough Trade East will be a roaring success. So what to post? Well, naturally the Covent Garden shop is having a closing down sale, and I loaded up on 50p 7 inches yesterday. But I’ve not got round to listening to these yet, far less ripping them, so I’ll go with songs from a couple of neat little 7 inches that came out in 2003 on the Shop’s own in-house label For Us Records. Of course, aficionados will know that although they confusingly share the same logo, Rough Trade the record label and Rough Trade the shop have been totally separate entities since 1982. But the Shop used to have its own label where they put out a stream of limited sevens. This is where I first came across King Creosote, on a fantastic little double A side that he shares with fellow Fence collective artist Pip Dylan (aka his brother). 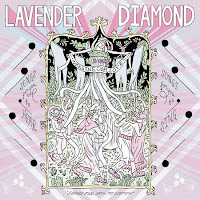 The Track Lavender Moon (written by Pip) also cropped up on KCs first album Kenny & Beth’s Musikal Boat Rides. 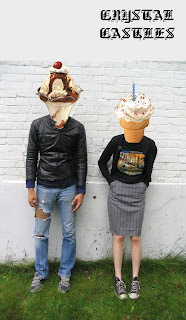 More obscurely, I have a double A side from defunct Liverpool duo The Hokum Clones. Despite causing a minor stir back in 2003, this single was the only release to come under their own name (the others were all on compilations). I saw them opening for The Polyphonic Spree that year. I liked their bluesy-skiffle sound, which although it was indebted to the music of the Deep South, had that jaunty Souse vibe as well. Despite that, it would probably been better suited to a small club than the vast expanses of a mostly-empty Brixton Academy. Anyway, that’s way enough waffle. Here are the tunes. The pictures are a tribute to one of the world’s greatest music shops. Rough Trade Covent Garden is dead! Long live Rough Trade East! It’s funny how music can creep up on you totally unawares, and before you know it, very quickly become a bit of an obsession. The other day I was having a chat with my record collecting colleague about Map of Africa and their super limited and in-demand self-titled album. I had a listen, but didn’t care that much for their sludgy psychedelic rock groove thing. I guess a lot of the clamour around them at the moment has to do with the whole exclusivity of the vinyl copies of the album. But then, whilst surfing around the Guardian’s music blogs, I came across this article by Alan McGee (no less) about just how cool the NYC label Whatever We Want Records is. Of course, Map of Africa is on that label. 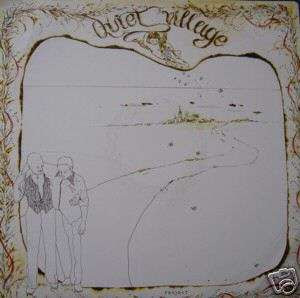 But so too is another artist called Quiet Village. Then I remembered there’s a remix by said artist on the lovely double 12 inch remix set of James Yorkston’s Woozy With Cider, sitting back in my house. One thing led to another and I found myself repeatedly listening to a load of Quiet Village tunes, and really liking what I heard. They seem to have a couple of different things going on. The tracks under their own name have a sort of loose, toned down disco vibe. Their remixes are more dense, dubby and sparse. But both are very good. 1. Quiet Village is essentially Matt ‘Radioslave’ Edwards and Joel Martin. 2. They also have the same exclusive vinyl reputation as their labelmates. A quick internet search for their records, turns up lots of ‘out of stock’ notes. So that’s high crate-diggers’ prices on ebay then? Thankfully, they’ve made a couple of tracks available for download on their myspace, which I’ve posted below. You can download more remixes at Bleep.com. If anyone has access to more mp3s of the rare-as-hen's-teeth Quiet Village tracks, I'd love to know. PS. Sorry for the low quality bitrate on the Quiet Village tracks and the Gorillaz remix - that's MurdochSpace for you. The other two are fine. There have been a load of great albums, but not really any that have totally blown me away. Nevertheless, the selection below are pretty damn fine, and are there because they’ve been the ones that I’ve played most, have excited me most, or just meant most to me so far this year. Unlike the album list above, this list is not so likely to change by the year’s end. The arrival of The Baby Growl has put a bit of a halt on my gig-going. Good job I got a load in before she arrived. Links go back to the original reviews. 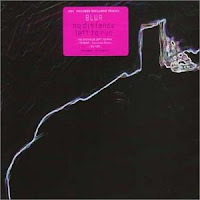 Next up in my painstaking CD single trawl, I come across a couple by Blur. First up, from the tail end of the last decade was No Distance Left to Run, off their 13 album. Funny that 13 wasn’t universally liked for some reason. Maybe people yearned after their cheeky boy knees-up-mockney days. But that’s just daft; The Great Escape was always the worst thing they ever did. 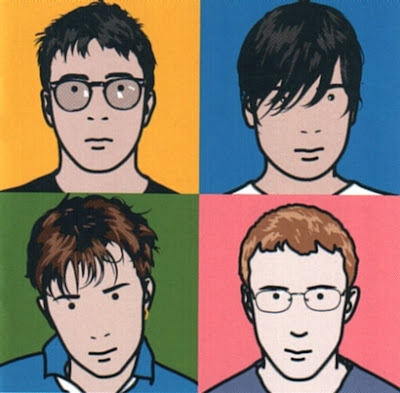 My favourite Blur ‘period’ is definitely the Blur-13 late 90s time. These are their best albums, and surprisingly the ’99 Reading Festival is the only time I’ve even seen them live. Not sure why that is, but it just helps to enshrine that era of Blur in my memory. From that single, I’ve posted the Cornelius remix of Tender, where he adds some amusing skittery beats over what is perhaps a too-earnest song. The result is probably better than the original. The other b-side To You, is a pleasingly lo-fi effort. The autumn of the next year saw Blur’s next single release, which unusually wasn’t on an album. Well, it was on their greatest hits compilation, but that doesn’t really count. It’s probably the best single the band have ever put out, and is about as far from Britpop that they’ve travelled. 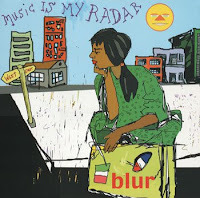 Music is My Radar has more skittery beats and interesting rhythms, fuzzed up guitars, Albarn’s odd singing and lyrics about Tony Allen getting him dancing. Black Book is even better, stretching out to over 8 minutes, with the band getting themselves locked into a groove that recalls both funk and Krautrock, with a gospel ending and Damon working himself into an almost silly falsetto. It might even be the best thing Blur have done. Whatever, it shows why, despite differences in sales and crowds, Blur will always be in a different league to their Britpop rivals Oasis. While the Gallaghers continually plough the same old dreary pub-rock furrow, Albarn and co. were always willing to try something new. Who knows, maybe the rumours about them back together for a new album this year will prove to be true, and result in something good. Yeah, I know I’m wayyy behind with stuff on this blog, but I’m playing catch-up on a heap of stuff, and now on 5th July, it’s time to cast an overdue glance back (as I normally do) over the past month. Except this time it’s the past two months. My review of May didn’t happen for obvious reasons. Now the problem is that May seems too far away, and June passed in a bit of a blur, without much contact with the outside world. So forgive me for a less than coherent post. Still, I’ll try anyway. 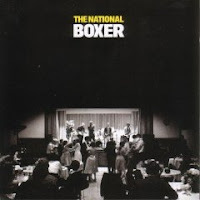 Boxer by The National. Yeah! This was probably going to be May’s choice, though that month was pretty crowded with possibilities. On the other hand, it might have been Battles, but this is definitely the album I’ve got most enjoyment out of. There’s a warmth and general memorableness to it, which makes it feel like an old friend already. 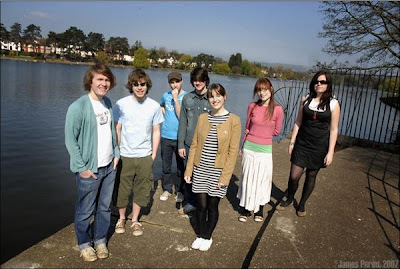 I’ve posted this one before, but since then Los Campesinos! have signed to Witchita, re-recorded it and released in on delicious bright red vinyl. It still sounds great. Last night in my continued attempts to bond with my baby, I danced round the lounge to this with her in my arms. She fell asleep. I’ve acquired a load of new Emmy songs over the past couple of months and they’re all pretty fantastic, but this is the one that keeps popping into my head at all times of the day and night (yes, I’m up during the night). Mrs Growl has had the latest Rufus Wainwright album on steady rotation since it came out in mid-May. And despite my love for all things stripped down and low-fi, I’m actually really loving Rufus’ over-the top orchestrations. A little frilliness every now and then is no bad thing. I totally love this song. Simple as that. Sneaking in at the end of June is this brilliant slice of Americana-tinged indie-pop from a band who are on the way to becoming one of my favourites of the year. I’m not going to post the song – you should really go and buy it, but if you want to hear it, click back to my previous post for a live version. A monstrously good return from Jack and Meg, which although it’s fresh and exciting, already seems familiar, like an old Stripes classic. OK, I know there’s been silly hype and all that, but it’s a infectious little thing, and another nice little 7 inch slab of vinyl. This time sky blue. This is also another baby dancing record. She stayed awake though this one though. I think she liked it. Truck Festival is 10 this year. What started off as a tiny festival has stayed fairly true to its DIY roots, despite becoming hugely popular (to the extent where it joins Glastonbury as being one of the very few festivals that sell out before the line-up is announced). What’s perhaps less well-known is that Truck also operate a record label, called naturally enough, Truck Records. 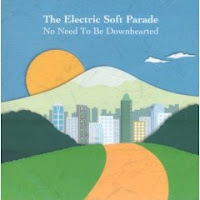 Which brings me nicely to The Electric Soft Parade. I’m glad Truck have signed them up for their latest album, because many others may not have. ESP are a classic example of what happens when a band becomes unfashionable. Not ‘becomes crap’ mind, because they clearly haven’t. Just unfashionable. Cast your mind back a few years, to just before the Brighton band had to add ‘Electric’ to their name (after being threatened by a Doors tribute band!) and just afterwards. Their stock was higher then. 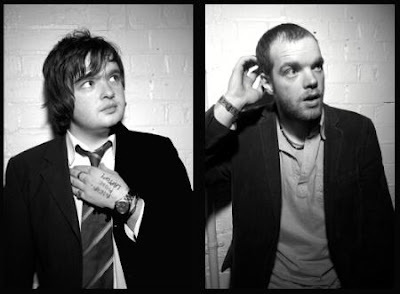 Their 2002 album Holes in the Wall was well received and even nominated for the Mercury Music Prize. So naturally they were snapped up by a major label for their second album The American Adventure. Now they’re back on an indie, and have recently released their third full-length effort No Need to be Downhearted (is that a self-motivating-against-the-odds statement?) to a complete lack of hype or media attention. Maybe it’s because they don’t trade in spiky guitars, electro bleeps or earnest stadium indie. No, it’s all fairly straightforward, honest, melodic indie rock, and I don’t mean for that to damn them by faint praise. Sure, they do use synths on this album, but there’s nothing arch about them. Nothing to get scenesters’ vision turned away from Camden or East London. I’m not going to wax lyrical about the record because I know it’s not going to be in my top albums of the year. But I do really quite like it, albeit in a kinda low-key way. It's not about stand-out tracks or killer tunes - it's more of a overall feel, a cohesive whole. It accompanied my on my iPod on the way home tonight, and its warm, fuzzy riffs, pleasing melodies, sweet harmonies and echoes of other favourite bands like Teenage Fanclub made the journey so much more satisfactory. Sometimes that’s the sort of thing that I need from my music, and in this case, Electric Soft Parade are just the ticket. Buy No Need to be Downhearted.